Lita Dirks accepts her Hall of Fame award at the Best of American Living Awards at IBS 2017. The Best in American Living Awards (BALA) program inducted its sixth class into the BALA Hall of Fame during the annual NAHB International Builders’ Show in Orlando, FL on January 10, 2018. The highly acclaimed Hall of Fame awards recognize innovative, well-respected individuals and companies in the building industry who have significantly affected residential design and construction. Lita Dirks, owner of Lita Dirks & Co. was the first of three inductees to accept her award that evening. Also receiving the honor was Jerry Gloss, founding partner of KGA Studio Architects, based in Louisville, CO, and Habitat for Humanity, headquartered in Georgia. Dirks, owner of Lita Dirks & Co. in Greenwood Village, CO, is an award-winning, nationally recognized leader in model home interior design and merchandising. She regularly judges national and regional interior design competitions, conducts lectures and seminars around the country and authors articles for local, regional and national publications. 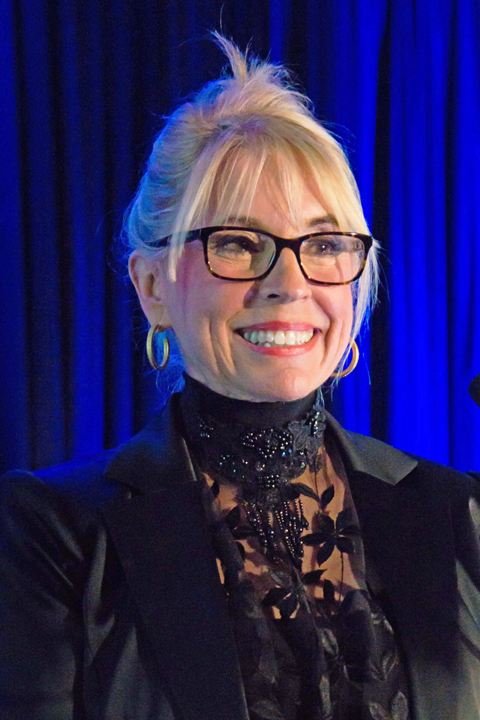 She was honored with the NAHB Institute of Residential Marketing’s Presidential Award two years in a row and was the 1993 recipient of the Bill Molster Award for lifetime achievement in service to the association’s National Sales and Marketing Council. Most recently she was named as a “Legend” by the Home Builders Association of Metropolitan Denver. The National Association of Home Builders is a Washington-based trade association representing more than 140,000 members involved in home building, remodeling, multifamily construction, property management, subcontracting, design, housing finance, building product manufacturing and other aspects of residential and light commercial construction. NAHB is affiliated with 700 state and local home builder’s associations around the country. NAHB’s builder members will construct about 80 percent of the new housing units projected for this year. Lita Dirks & Co. is a national award winning interior design and model merchandising company that has designed model homes, clubhouses and sales and design centers for over 20 years. The firm comprises a team of NCIDQ certified designers who bring sought after designs to their clients. Located in Greenwood Village, CO, Lita Dirks & Co. creates designs across the country. For more information, visit www.litadirks.com.